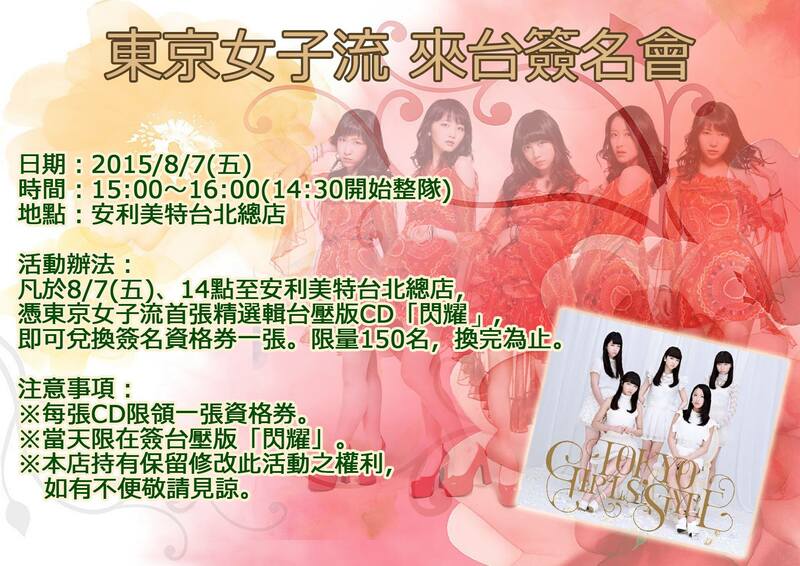 8/7 (Fri) 14 o'clock am with the Tokyo Girls' Style Taiwan album , Taiwan animate you get is a piece of signings exchange card at the t main store, limited to 150 people, the number of distribution as soon as the end. * A single CD is Nowak only one sign exchange license. * Target CD will be Taiwan Version. * Taiwan animate becomes this time organizers, Please note that the event content may be changed.